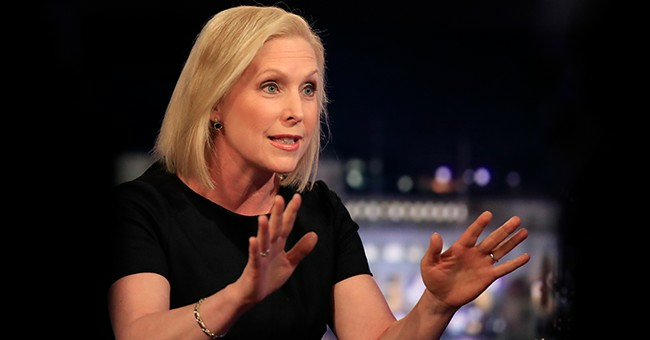 Sen. Kirsten Gillibrand (D-NY) is running for president. She’s used to be a more conservative Democrat, but that’s when she was a congresswoman from upstate New York. She held views on immigration that are quite in line with Donald Trump. Her excuse, more or less, is that she had to be because she represented a congressional redneck district. When she was appointed to fill the remaining term of then-Sen. Hillary Clinton, who was tapped to be secretary of state by Obama, she became a full-blown liberal. She’s not the only one facing such allegations if mishandling such claims. Sen. Bernie Sanders, a darling of the Democratic Left who’s also running for president, had a 2016 campaign that was reportedly a den of sexism and sexual harassment. He did nothing to fully address the claims, saying he was too busy campaigning in 2016. Democrats are sure aggressive on these Me Too stories…until they come back and bite them. Typical. So, given that this apparent office cancer stuck around, no wonder why this woman said, “When I had the courage to speak up about my harasser, I was belittled by her office and treated like an inconvenience… She kept a harasser on her staff until it proved politically untenable for her to do so.” Yeah, that sounds like a Democrat.